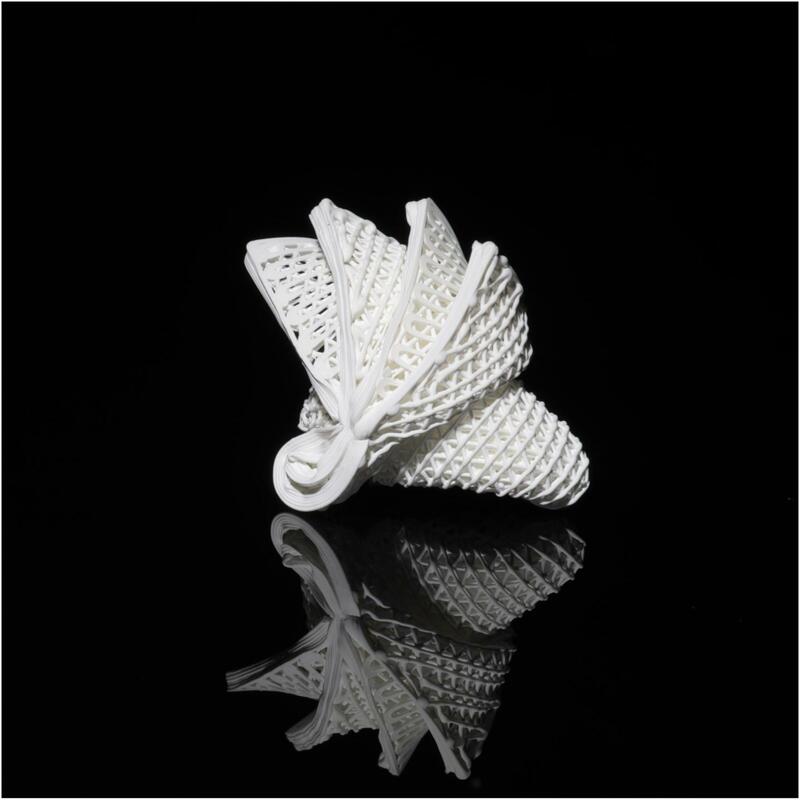 A research team at City University of Hong Kong (CityU) has achieved a ground-breaking advancement in materials research by successfully developing the world's first-ever 4D printing for ceramics, which are mechanically robust and can have complex shapes. This could turn a new page in the structural application of ceramics. To overcome these challenges, the CityU team has developed a novel "ceramic ink", which is a mixture of polymers and ceramic nanoparticles. The 3D-printed ceramic precursors printed with this novel ink are soft and can be stretched three times beyond their initial length. These flexible and stretchable ceramic precursors allow complex shapes, such as origami folding. With proper heat treatment, ceramics with complex shapes can be made. The innovation was published in the latest issue of top academic journal Science Advances under the title "Origami and 4D printing of elastomer-derived ceramic structures". All research team members are from CityU, including Dr LIU Guo, Research Assistant, Dr ZHAO Yan, Senior Research Associate, and Dr WU Ge, Research Fellow. The research was supported by the Major Program of National Natural Science Foundation of China, the Hong Kong Collaborative Research Fund Scheme and Theme-based Research Scheme, the Innovation and Technology Commission via the Hong Kong Branch of National Precious Metals Material Engineering Research Center, the Guangdong Provincial Department of Science and Technology, and the Science and Technology Innovation Commission of Shenzhen Municipality. City University of Hong Kong (CityU) is now 55th among universities worldwide in the QS rankings. As a leading global university, CityU embraces new ideas and continually seeks new ways to improve the world. We identify solutions to critical global challenges by extending the frontiers of knowledge within and beyond existing research paradigms. Our research clusters revolve around themes embedded in areas such as One Health, which focuses on interdisciplinary, problem-based research collaborations, and communications for health-related issues; Digital Society, which explores how new technological developments advance our economy, culture and society; and Smart City, a cross-cutting theme addressing regional and global concerns in sustainable energy, climate change, environmental degradation, urban planning, government regulation and the law. Together these themes are making a difference.